Kevin Harvick, driver of the No. 4 Busch Beer Ford Fusion for Stewart-Haas Racing (SHR), will make his 36th Monster Energy NASCAR Cup Series start at a road course this weekend when the series visits Watkins Glen (N.Y.) International for Sunday’s Go Bowling at The Glen. The Bakersfield, California native is one of only three active drivers to claim a NASCAR Cup Series victory at both Watkins Glen International and Sonoma (Calif.) Raceway. Kyle Busch and Martin Truex Jr. are the others to make that claim. Harvick added his first-career win at Sonoma in June 2017, when he started 12th, led 24 laps and finished ahead of SHR teammate Clint Bowyer when the race ended under caution. He also won the NASCAR K&N Pro Series West race at Sonoma the day before. The 2014 NASCAR Cup Series champion scored his lone Cup Series victory at Watkins Glen in 2006, when he started seventh and led 28 of 90 laps and beat current SHR co-owner Tony Stewart to the finish line by .892 of a second. In 2015, Harvick started fourth, led 29 laps and appeared to have the race won with a sizable lead on the final lap. But he ran out of fuel in the final turn and coasted to a third-place finish behind race winner Joey Logano and runner-up Kyle Busch. Harvick also visited victory lane in the NASCAR Xfinity Series at Watkins Glen in August 2007. He started 11th and turned in a dominant performance after quickly racing his way to the front, leading 49 of 82 laps and beating runner-up Jeff Burton by 3.529 seconds. 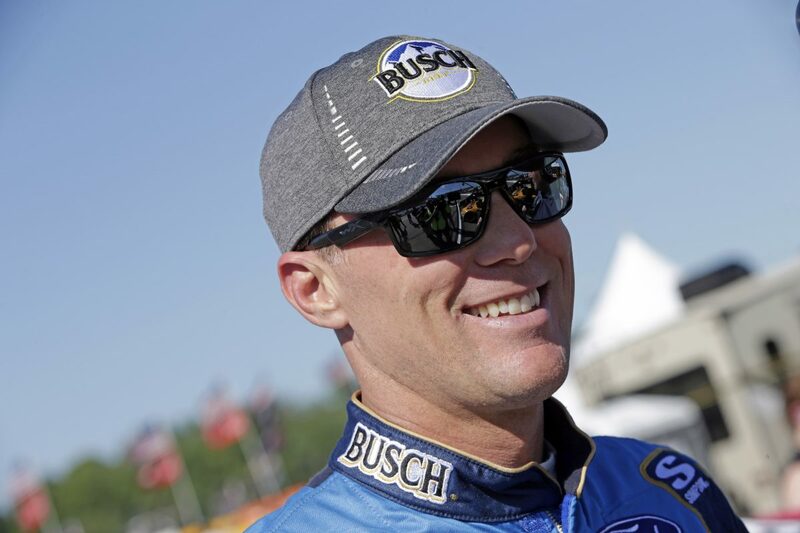 Harvick will get additional seat time this weekend on the 2.45-mile road course as he seeks his second win in the NASCAR Xfinity Series at The Glen. He will be behind the wheel of the No. 41 FIELDS, Inc. Ford Mustang for SHR on Saturday afternoon. What is most important for Harvick coming into this weekend at Watkins Glen and the four races that follow is the accumulation of playoff points that are so critical at this point in the season. Thus, even more pressure to start up front and, ultimately, to try to win the Busch Pole Award. Harvick ranks second with 33 playoff points heading to The Glen, just two markers behind Kyle Busch’s 35 and seven ahead of Martin Truex Jr. The “Big Three” of Harvick, Busch and Truex has accounted for 16 of the 21 race wins in 2018 and 67 percent of the total playoff points accumulated – 94 of 140 available through 21 races. The best way to score maximum playoff points in a race is to start up front, earn stage points and win races. Harvick and the No. 4 team can accomplish all of those goals with a win this weekend in the team’s only visit to Watkins Glen in 2018. What is the key to having a good race at Watkins Glen International? Are the road courses still odd-ball races, or do they seem like just another race, now? What sections or turns are the most challenging at Watkins Glen? How does Watkins Glen International differ from Sonoma Raceway?